Back to school season. And my tot started his school! I can't believe how big he got and he's already going to school(even though it's just 2's). Until the day of, I didn't think it's a big deal as it's only a couple of hours and twice a week. He walked in so confidently, offered me a hug and a kiss. Then said, "See you later, mommy." and just walked away! I came right out of the classroom as I wanted to keep things smooth. But I could not leave. I stayed around like other first time preschool moms did, and saw one kid crying hysterically. I suddenly got so emotional and couldn't help but crying! Anyway, I thought I could do so much while he's at school but time went by so quickly, it was already time to pick him up, which means it's almost lunch time! On the short ride home, he told me all about school, who took him to the potty, what song he sang, what he ate for snack, etc. And...how teachers offered him water with animal crackers and he asked if he could have sparkling water. WHAT?! Oh boy..this kid..Well, he now knows that still water or milk are the only options at school. 1. Cook the bacon until crispy and chop them into small pieces. - I microwaved them for 6 minutes between paper towels on a plate to make it quick and easy but feel free to use the method you like. 2. Toast or broil the pita for 4 minutes. 3. 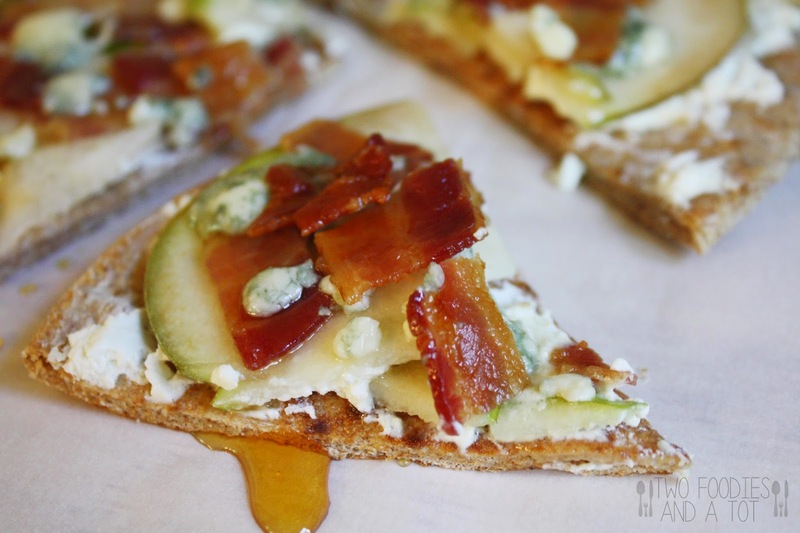 Smear goat cheese on two toasted pita bread. 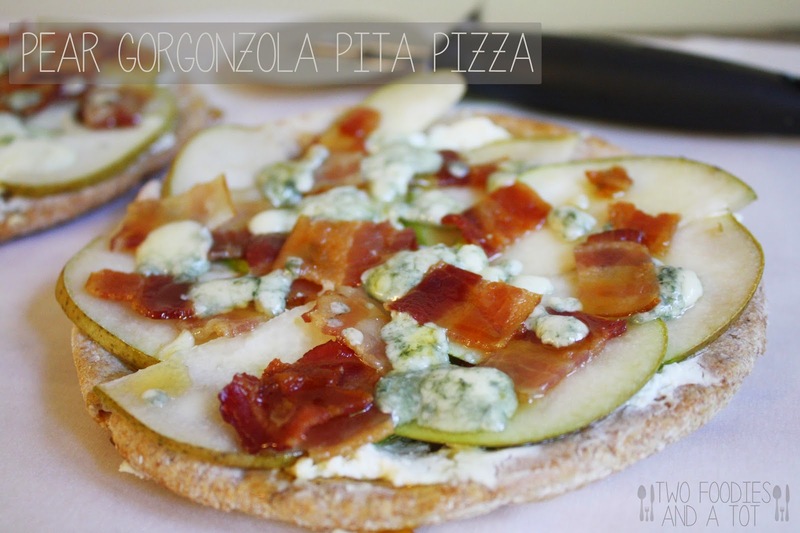 Place pear slices, bacon and gorgonzola on top. 4. Put it back in the oven and toast/broil for 3-4 minutes. Drizzle honey on top and serve.